Have you ever met a person that completely inspires you even though you’ve never met (yet) in person? Let me introduce you to Kristen from Living Loving Paleo because she’s an absolutely astounding human. I first got to know Kristen through Instagram (follow her at @livinglovingpaleo and me at @stupideasypaleo while you’re at it), and it was her food that initially caught my eye. She’s got some super tasty, yummy-looking recipes. Recently, I looked further back at her pictures and I saw the one above. Immediately intrigued, I read her story and it left me in tears, inspired by how strong of spirit this vivacious young woman is. 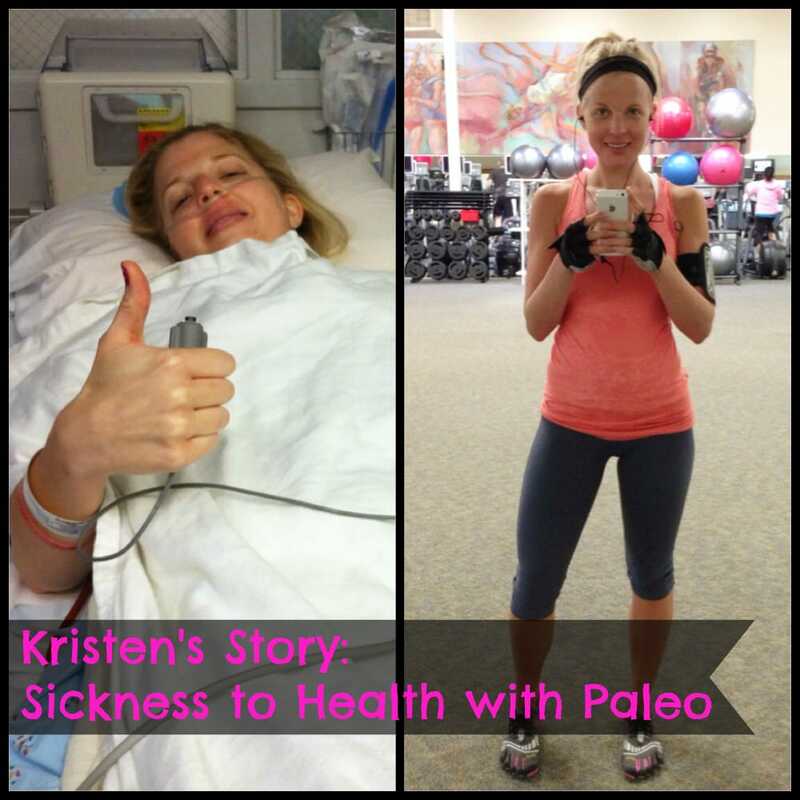 You see, Kristen has battled serious disease for a huge chunk of her life, and food – good, clean Paleo food – has helped bring her back to health. I couldn’t wait to share Kristen’s story with you all in hopes that it’ll leave you inspired. Better yet, forward it on to someone in your life who’s sick. Without further ado, here’s Kristen! It’s been an incredibly long and bumpy road, to get to where I am today. None of it was easy. There were many times where I just wanted to give up, but I kept going, no matter what. I owed it to my husband, my family, my friends, and most importantly myself, to find my true health and a life that was really worth living. Countless doctors have told me that I would never heal, that I should expect to live my life sick, and that it would never get better. I was placed on medications that changed how I looked, that made me feel like I was going crazy, and that ultimately destroyed my immune system. My doctors may have given up on me, but that didn’t mean I was going to give up on myself. I knew deep inside that there had to be another way. Switching to a paleo diet has been one of the best decisions I’ve ever made. It was an easy change for me, because it made my dreams my reality. I now have the health that I’ve been dreaming of for so long. Now you will see, why this lifestyle, that lit a spark in me, has now become my complete passion. Welcome to my world. Health wasn’t something that was given to me, I’ve had to fight for it since I was a kid. I fought incredibly hard, and I won. I was diagnosed with Crohn’s Disease at the age of 12, after dropping 30 pounds in a month, and I was already tiny. I was immediately put on all sorts of medications to lower my immune system, and hopefully put my disease into remission. At the age of 12, I was taking 96 pills a week. Not so much your ideal childhood. Unfortunately, back then I had no idea that the food I was consuming was literally killing me. My doctors never mentioned diet to me, so it wasn’t important, right? I’ve faced many challenges over the past 17 years, some of which are still very hard for me look back on, as the memories are still very raw. When I was 21, I really started to see and feel the negative effects of the medications I was taking. These prescription drugs began to take a serious toll on my immune system. I had just started my final 2 years of college, to complete my degree in fashion design, and I was so excited for what was to come. One morning I woke up with a terrible sinus infection, and had also lost my voice. My voice didn’t come back for over a year and a half. Hard to even imagine, right? I was passed around from doctor to doctor, and unfortunately the most they could offer me were antibiotics, which basically worked like a short-term “band-aid.” Once my voice came back, the infection started to move into my ears. This is when I suddenly lost my hearing; I could hardly hear someone unless they were shouting. Let’s just say I became real good at reading lips. I had constant ear infections, and yet again, no doctor could treat me with anything but antibiotics. Antibiotics were becoming my way of life. I was frustrated, and life wasn’t exactly what I would call fun. Looking back now, I can see the exact time when the course of my life changed forever. Back in May 2010, I was admitted into the hospital with fungal growth spots in my lungs, caused by the medication I was taking. I was immediately taken off of that medication, but I was running out of options. Throughout my life, when one medication stopped working (as they always did), I would be placed on the newest version that had come out. At the time, I never thought it was a big deal, until there were no more new medications. This time, I was placed on an old medication that I had taken when I was 14. My Crohn’s immediately went out of remission, and I became very sick. A few months later, I had become so sick that I was forced to leave my job as a fashion designer. Life was like Groundhogs Day. Everyday I woke up with no energy, and everyday I went to bed with no energy. That fall, I kept ending up in the ER with long hospital stays, due to obstructions in my large intestine. My intestines were so inflamed that the food I was eating could not pass. Obstructions are extremely dangerous, and my doctors were afraid my intestines would burst. I had been told for months that I needed to have surgery to have my entire colon removed. It’s not something I even wanted to imagine. 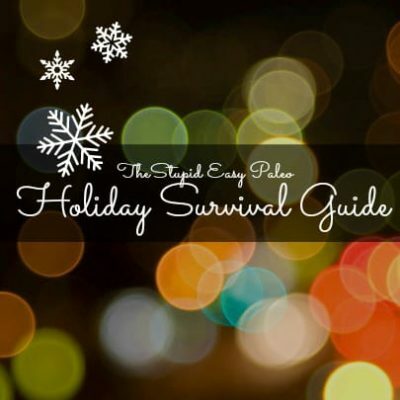 As I spent that Christmas in the hospital, I knew I couldn’t go on like this for much longer. I had pneumonia for the third time, and an infection in my blood, which had come from my intestines. I was incredibly weak, but I put on a smile, and I kept going. My immune system was non-existent, due to 14 years straight of crazy, harsh meds. So I made the hardest decision of my life, took a leap of faith, and had surgery. The picture on the left was taken February 4, 2011. The day I had my entire large intestine, and part of my small intestine surgically removed. I was placed on 100mg of prednisone, which is why I look all cute like a marshmallow. Visitors aren’t usually allowed into the recovery room, but they made a special exception for my husband, as it was a major operation and I was a high-risk patient, with a next-to-nothing immune system. My husband makes my world go round, I will never know how he’s stayed so strong for over 10 years now. I told him that I would give him a “thumbs up” when he saw me, letting him know I was ok. The “thumbs up” was easy, let’s be real, I was drugged out of my mind. This surgery saved my life. Leading up to surgery, my body was failing me. As a kid, I had no idea that the medications I thought were helping me, would eventually turn and show me their very dark side. My doctors could save my life, but they couldn’t make me healthy. They told me my immune system would rebound within 6 months of stopping the Crohn’s meds. That never happened. These meds are so powerful, they literally change the entire structure of your immune system. I had been sick for so long, and I was so tired of it. I was on antibiotics all the time, and my doctors told me to just accept that this would be my life. See, here’s the other thing. What my doctors didn’t know, is who exactly they were saying this to. I had a life to live, and their words wouldn’t stop me. Exactly 2 years to the day since my surgery, I took the plunge into the paleo world, 100%. Since that day, I never looked back, and I never will. Words cannot truly tell you how much this lifestyle has changed my world. Within a few days, I noticed that the inflammation I didn’t even realize I had, was gone! The awful sinus infections I constantly had are now also gone! The painful staph infection I’ve had in my nose, for the past 7 years…gone! Antibiotics are becoming a distant memory. I’m by far the healthiest I’ve ever been. Physically, I’m very strong now. Mentally, I’m unbreakable. Against my doctor’s advice, I haven’t taken a single medication for my Crohn’s since the day of my surgery. Those drugs come with serious consequences that I will no longer accept, because I know I have other options. I know better, so I do better. I am well aware my Crohn’s could come back at any time. Paleo gives me control over my disease, which is the most amazing feeling! They said it couldn’t be done. They still don’t believe that a simple shift in my diet has healed me. They think paleo is a terrible decision. They said none of this would be possible. All I have to say is, look at me now! My life before paleo is completely unrecognizable to me. I am so grateful to have my second chance! What do you think about the power of food to heal? Wow, Meg, this is such a sweet comment!! Thank YOU!! I know Kristen pretty well…I’m her older sis! She has been through so much over the years, and while I have been by her side along the way, I always wished there was more I could do. I wanted to be able to take the disease away from her, but I couldn’t. I hated seeing the side effects of the harsh meds she was on take their toll on her. So I am ecstatic that she found Paleo, and that it has changed her life! I still remember the first day she told me she was going to try it; I immediately ordered her a cookbook. This girl has some serious creativity, as you can see if you’re following her, and it’s been put to excellent use in her delicious recipes. Oh yeah, and if you haven’t met her, well, she’s just an incredible person, and after meeting her, you won’t be the same! An incredible story, I’m getting teary eyed reading this. It sounds like you have an amazing group of supporters on your side :). I like the format of the blog, it’s very visually appealing :). I’m guessing you were on a free platform and then decided to switch over to a paid version? Or did you literally just start? Either way, the photography is awesome and I’ll be following along. Thanks for featuring this steph and thanks for sharing Kristen. Thank you Danielle!! I literally just started blogging last week! I love the feedback on my site! Going to be building it up as time goes on, so much I want to share! I seriously love this girl too! I haven’t even met her in person, yet her sister is totally right….after meeting her you won’t be the same! She is full of passion, love, positivity and grace! She is a huge inspiration and encouragement to me! I know she has no idea how much her support in my own journey means to me! <3 Thank you for sharing her story with your audience! Deanna, you are nothing short of incredible!! Your constant support is just mind blowing!! What a truly inspiring story !!!! I saw this on FB through your husbands link. I work at one of the Safeway s that they shopped at while at work (that how I know him) and I ALWAYS feel that God brings things to the table in our lives for a reason and I just started making some recipes from a Paleo website only because I wanted a better way of eating for my family. Especially my husband!!!! (He’s a horrible eater). I’m so tired of all the processed and high sugar/fake sugar and everything else that’s too long to list, being the easiest option for our family. But not reading your story I look at it in an even more important way. And more reason I know I’m making the best choice. I hope and pray that God will continue to bless you and your health and for you to live a full and healthy life/lifestyle. Thank you, thank you, thank you, for sharing your story !!!! Thank you so much Lisa!! I’m so happy that you met my hubby, Mike!! This way of eating is so life changing, even for a pretty healthy person, like my husband! That was heart-breaking, but very inspiring. I was just diagnosed with my 3rd staff infection in the last 9 months! I really believe a Paleo lifestyle will help me. The only concern I have is that I’m 51. Is this ok for my cholesterol? I am dangerously obese and really want to help myself. Thank you for sharing! Your story brought me to tears! I’m 31 and just got diagnosed with Crohns. I fear the meds and side effects. My doctors wanted to start me on the meds this morning and I gracefully declined. Then I come home to read your amazing story and realize that I have made the right decision for my life. I’m currently gluten and dairy free but starting tomorrow I vow to follow the Paleo diet and take control of my life. Wow, Avi! That is truly incredible!! I LOVE hearing this!! Wishing you the absolute best of luck!! What an incredible testament! Congrats on taking control of your health Kristen and thanks for sharing Steph! I love happy endings! So pleased to read stories like Kristen’s. Thank you, Diane! I completely understand, it’s not easy to get others to see that they need to make a change. Especially the one’s you love the most 😉 So happy your family is benefiting from this lifestyle!! I’m very curious what drugs you took in your teens that affected your immune system. If you are able to share that I’d appreciate it. I have IBD also and wonder if it includes anything I’ve taken/am taking. Thanks!! And congrats on getting your health! Thank you, Erin! Please email me at kristen.e.boehmer@gmail.com, I’d love to talk to you one on one! Thank you for this. My daughter, who is almost five, had her first of what will probably be many GI appts. She has struggled with various issues her entire little life, and I’m desperate to find an answer. Celiacs and Crohns are both on the table, and to be honest, I’d choose Celiacs any day of the week over Crohns because of the meds. But your story has given me hope that even IF Crohns is what she has, the diet I follow can help her! Such a inspiring story Kristen. Reading things like this can give hope to so many people that there are other options besides a life of medication. Can I ask, did you introduce different foods slowly or did you jump head first into paleo? Wow Kristen – you are a super trooper! I cannot imagine the pain and frustration that you have experienced. Your spirit is strong and you found a way to help yourself – and now to share and help others. Most others might have given up – I know I very well might have if I had been in your place. Bless you! I will follow – can’t wait to see what’s next for you!! Thank you for your sweet note, Becki! Best wishes to your daughter!! So glad I found your story! I have a similar story to Avi who posted here. I’m 32 and was diagnosed last month with Crohn’s. My doctor wants to start me on Humira, but I am very hesitant to start it. My six-year-old daughter was diagnosed with ulcerative colitis when she was four and ended up having a total colectomy in September. She did Humira, but we didn’t start it until we exhausted all other options, so it scares me to start this right off the bat. We tried to do some diet changes with my daughter, but she just refused to eat and ended up in the hospital since she was starving herself. Luckily I can see the big picture and I’m excited to make these dietary changes for myself. I started Paleo yesterday and I’m so excited to see how it helps! You look amazing and I’m sure you feel just as good! I honestly just teared up Kristin. You are such a fighter and so inspiring! Your story is so inspirational! I suffer from fibromyalgia, CFS, IBS, myofascial syndrome, degenerative disc disease, osteoarthritis, and I am sure I am forgetting something. I’ve been drugged out of my mind for years. I was taking Lyrica and it made me gain weight like I was in a contest for who could put it on the fastest. Combined with so much pain and fatigue I have barely been able to move, the weight piles on. I have had to rely on frozen foods and sandwiches and fast food (which I hate) and the easier the food is to grab the worse it is for you as a rule. The wife of a friend told me that she went on paleo and her CFS all but disappeared. I am going gluten-free right now trying to reduce inflammation and then I will transition into paleo. My hopes are all in this and I am hopeful because so many people are swearing by it. If you could go from a sick bed to the picture of health, then I can too! can be as sure of love, hope, inspiration… as they are of sunlight. You and Mike are awesome!! Was thrilled to read your story, especially the part about your healing. It is so disheartening to see that GI doctors and much of the medical community don’t know about nutrition and just push meds. I’ve had IBS since my 30’s and allergies from birth. At 64, turning to Paleo is the only way to go to improve all of the symptoms. Thanks for sharing your story. What an inspiring story!! My mother in law has so many issues and I am going to have her read your blog! Wow, this is totally inspiring! As a nutrition major in college, and an IBS sufferer for 4 years, I love to hear how good nutritious food heals us!! I struggle with GI issues, it can be debilitating at times. I haven’t tried a Paleo diet yet, as my doctor has me trying low Fodmaps and a new probiotic strain. I refuse to take medications for IBS. But Paleo, I’m willing to try it! I had gastric bypass surgery 7 years ago so my diet is low fat high protein. Way to go Kristen for having the strength to make a healthy commitment to yourself!! COULDN’T AGREE MORE!! However… Fiber in excess = not a good thing. I had to get my large intestine taken out because of it! Amazing story, and an amazing woman. I certainly have never been through something like that. However that is the amazing thing about Paleo for me as well. I have lost 105 lbs so far in just 6 months, and planning to drop another 100 in 2014. But while I started Paleo as a way to lose weight and be more healthy, I have since discovered that I have been suffering with Leaky gut and IBS for years and years. I always thought just being fat was why I had such problems. As I ate better I felt better, and then I felt worse. What I used to think was Lactose Intolerance I’m pretty sure now is a Nightshade allergy. Without the mindfulness that I use now to eat I would have never figured out just why I was always ill. Life is so much better when you feel great and are more healthy. Only one word can sum up what I’m thinking….WOW! Amazing story about the power of food. Thank you for sharing, your struggles seem very similar to my little sister’s and you better believe I will be sharing this with her. This sounds so much like what I have gone through. I applaud Kristin for being so strong and going full force into the diet and not looking back. I wish I had the same discipline. I have had Ulcerative Colitis since I was 12, I am 25 now, and am currently in a flare up. I went 10 years without a single break from this disease and finally went into remission for 18 months after giving birth to my daughter. Then, with no warning, it came back full force landing me in the hospital with a 1 year old who I couldn’t take care of. The doctors said my options were humira or to remove my colon completely. For the fist time I decided to research diets and found the GAPS diet. I believe it has done wonders for me but I am too stubborn to stick with it. There aren’t a lot of good recipes for that diet so I just recently started looking into Paleo. The recipe’s look amazing and doable and when I hear stories like yours I feel hope. I will definitely start following Kristin and Steph! Being active and working out is my life but I have a hard time keeping up the energy with the disease and the diets. Thanks to both of you for putting your stories out there! Wow. What a remarkable story. So inspiring and moving. Thank you so much for sharing your story Kristen! Just two short weeks ago I was diagnosed with ulcerative colitis and since then, I have been utterly confused by the information out there on the disease. Having been a crossfitter and eating paleo for two years already, I was shocked to find out that my body was failing me. It’s so nice to know, however, that you have found such success without medication…no young person wants to be dependant on meds for the rest of their lives! Thanks for providing me and so many others with IBD with the inspiration and motivation to live normal, drug free lives!! Hi, thank you for sharing your story. I have been diagnosed with severe Crohn’s Disease for just over a year and have been eating Paleo for about nine months now. I am still having issues and wondering if the Crohn’s meds are continuing to cause problems . . . I am also hopeful I can find a nutritionist with knowledge of IBD who can help. 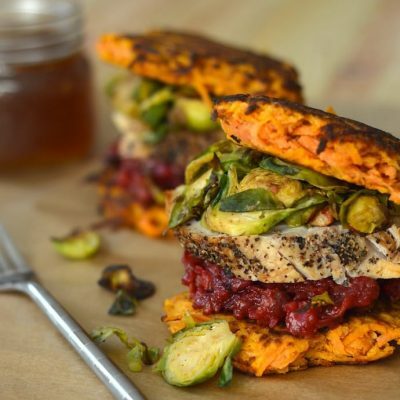 I would love to follow you and get more of your recipes! This article actually makes me sad, as it unintentionally highlights a very harsh reality. Poor people (genuinely poor people) can’t afford to eat paleo. I ate a paleo diet for Crohn’s, saw all the very real benefits (and my GI Dr. is a huge fan of paleo–an enlightened Dr., for once), but then my income took a huge hit. Trying to continue to eat this way was literally driving me under financially (because when you’re poor, healthy food does that), even considering that I’m an experienced forager (close to 30 years of foraging), because without a car, there’s not enough accessable foraging areas where I live (because foraging 10 feet or less from where motorized vehicles go = contaminated foods), and without a job I can’t afford a car, and with how sick I am, I can’t work (and foraging is much harder). So, my choice was “eat crap or starve.” So I chose not to starve. Of course I got seriously ill, but I had to eat. My daughter had to eat. So I’m sick because the bulk of the food I can afford, even supplementing with foraged foods, makes me seriously ill. So, it feels hopeless. Poverty is when you starve yourself so your child/children can eat. Poverty is when you’re relieved that the elementary school serves breakfast, because you don’t have enough to do so yourself. But poverty, to them, is apparently the same group I consider to be, at worst, lower-middle class. You know, the ones who may have to penny pinch, but also can afford to own a car, or even a house. That’s not called “poor” in my neighborhood. That’s called “thinks they’re poor, but has no idea what ‘poor’ really looks like.” So yeah, paleo is awesome for Crohn’s, if you have that kind of money. For the rest of us, winning the fight against poverty has to happen before things like this can be anything more than a painful reminder that inequality literally kills. I’m really sorry you’ve had that happen to you Julian. I don’t know of anyone who would say that those experiencing real poverty are “just making excuses,” but I do understand where you’re coming from and the frustration you’re feeling. Yours is a much broader comment on the state of food equity in this country (worldwide, really), and I don’t know what the answer is other than what I always say which is to do the best you can with what you have. It’s all you can do.